Pizza is my weakness. I’m referring to proper Italian pizza, not that tasteless cardboard Pizza Hut and Dominos peddle in the guise of “pizza”. 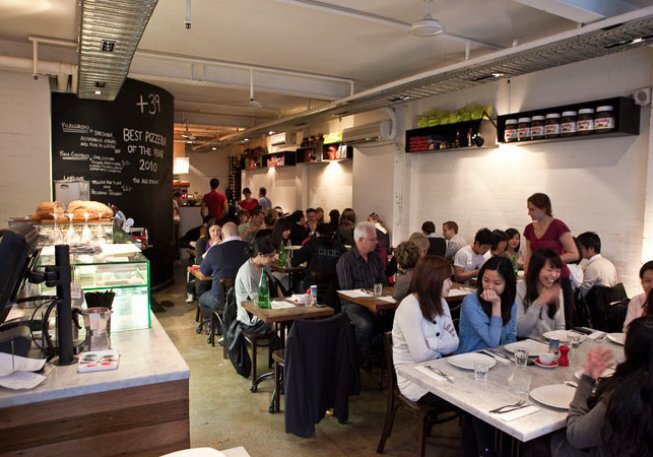 Over the last couple of years I’ve been slowly working my way through Sydney’s top 10 pizza restaurants (according to the SMH Good Food Guide) and I must say that although Number 3 on their list is Rosso Pomodoro in Balmain, in my heart (and tummy) it is Numero Uno! Even though I’m in Melbourne, after last night’s perfectly paired pans, my heart has to make way for a new contender. Drum roll please…. 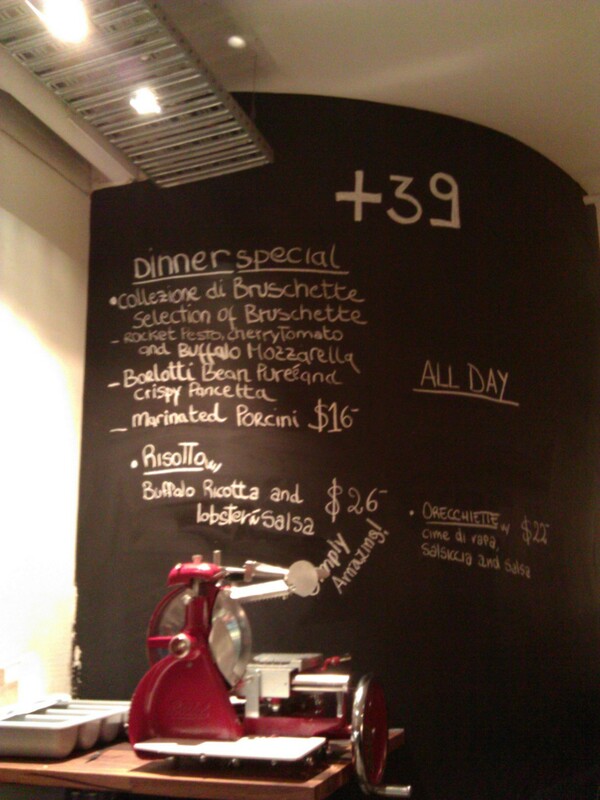 +39 Pizzeria on Little Bourke Street. Oh. My. Lord. it is good pizza. 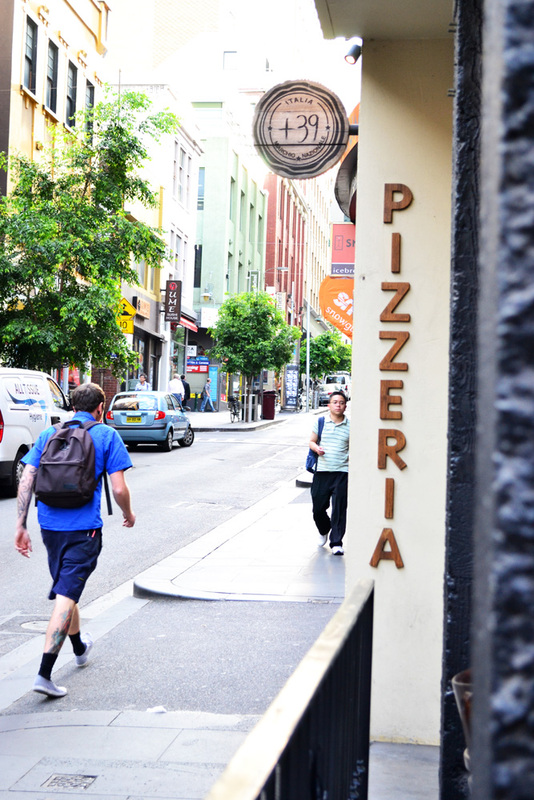 The perfect base; a crust that is crispy yet chewy with the beautifully imperfect shape that only hand spun dough can produce, cooked in a stone oven so it randomly leaves its charred fingerprints on the pizza lip. Topped with the minimalist of ingredients that are traditional, well-thought and executed. From a list of 17 pizza choices, this is what we had. Like all of their ingredients (I mean ALL including the waiters and down to the salt & pepper on the tables) the wine is Italian. It has a medium body & tannins and tastes of smoky leather and berries, similar to a young shiraz. It’s good! 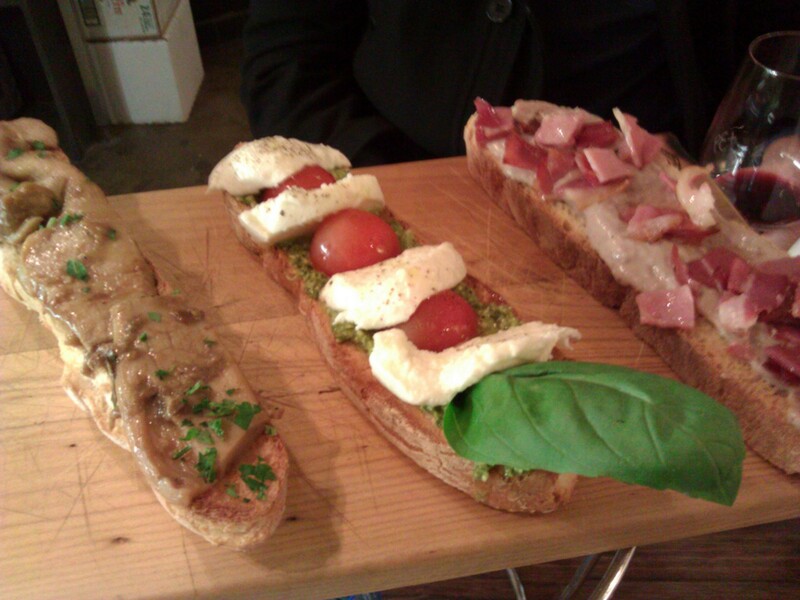 The collection of three bruschetta are (L) porcine mushrooms, (M) cherry tomato, buffalo mozzarella & basil pesto and (R) cannellini bean puree with speck. 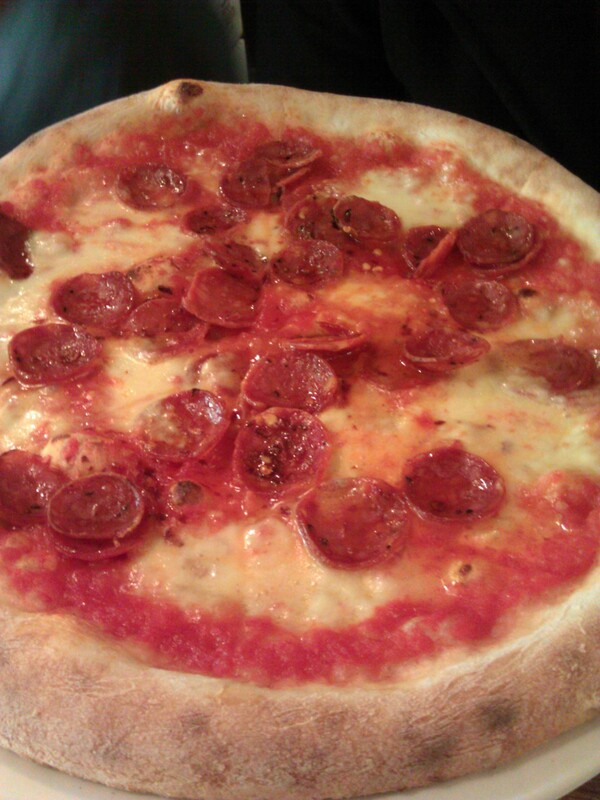 The Diavola is a spicy pizza with Italian tomato salsa, Fior Di Latte (mild cow’s milk mozzarella-style cheese), salami & chilli. 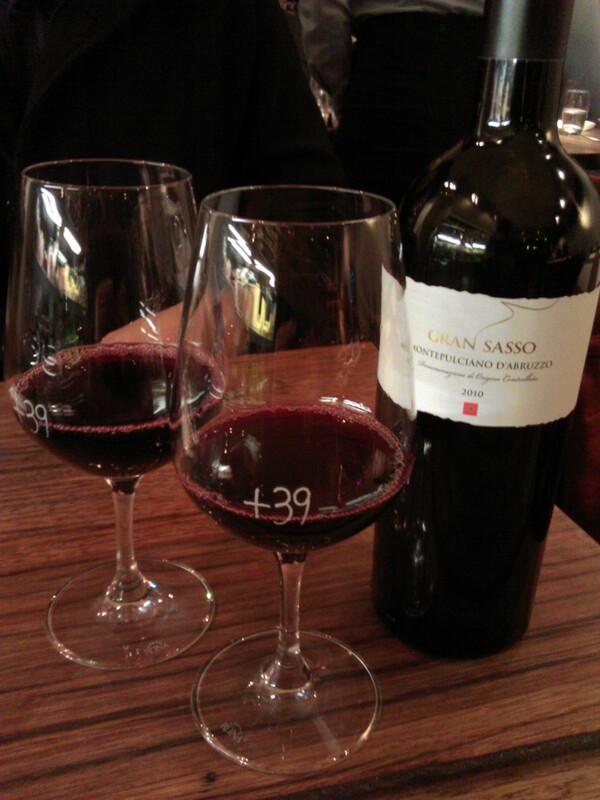 Jay & I both agree that the Diavola at Rosso Pomodoro is actually better, but the base on this one….wow! 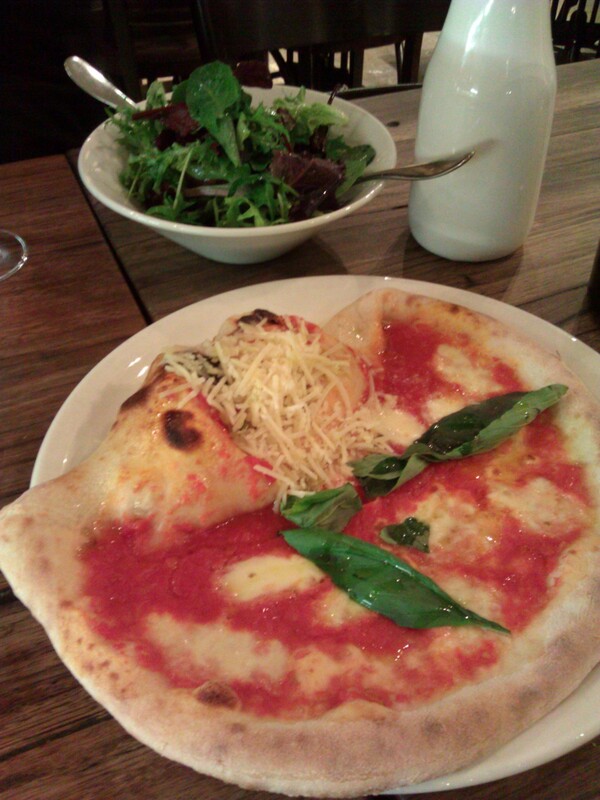 The Sole E Luna is a half Calzone pizza filled with ham and Fior Di Latte & half Margherita pizza. I am in heaven! It is possibly the best pizza I’ve ever eaten (big call I know)! We also have the Insalata Mista which is mixed leaf salad with a citrus dressing. I don’t know why I get so excited over well dressed salad leaves but this salad is so divine! Although their dessert menu looked amazing (house-made Tiramisu & cannoli, Nutella pizza with strawberries & a variety of gelato) we’re too full for dessert. Probably just as well, since I’m waaaaay over my calorie intake for the day! But for an extra couple of kilometers on the treadmill, it was totally worth it! I had the The Sole E Luna when I was there with Aunty B.
Aren’t you clever! 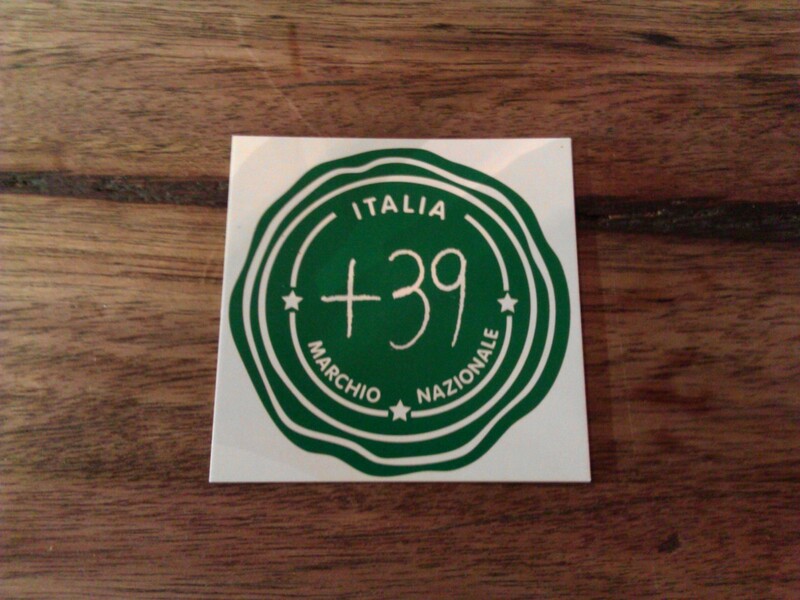 That is what we’re going with: +39 best in Melbourne and Rosso Pomodoro best in Sydney!!! Yummo!! !